Have you always heard that the color of a rose has a special meaning? Well the answer to that is TRUE and so here are a few to help you relay the message you want in a perfect rose arrangement. Your Choose Your Own Color! Please call 1-888-681-ROSE (7673) or email ahead to make sure your colors desired are in stock. Orders (with color in stock) and ordered by 3 PM, EST can be delivered on the same day! Roses can come in colors of two (ex. red and white) or colors of three (ex. red, white, pink) or Colors of four (ex. Red, White, Pink and Yellow). You choose your own colors. Please call 1-888- 681-ROSE (7673)or email ahead to make sure your colors desired are in stock. Orders (with color in stock) and ordered by 3 PM, EST can be delivered on the same day! 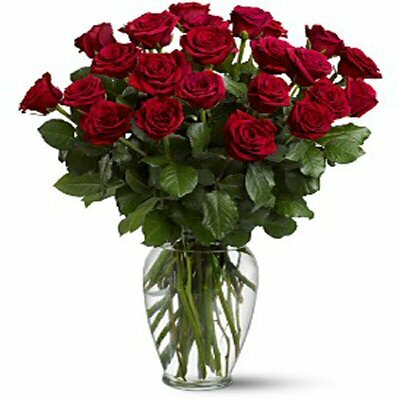 One Dozen Roses Arranged in Vase! This is everyone's all time choice. It is elegant and can relay your message, no matter what it is. 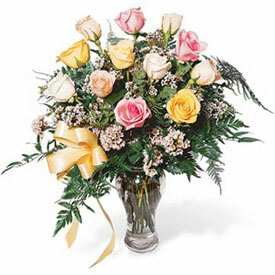 This can be any color, can include baby's breath or assorted greens. 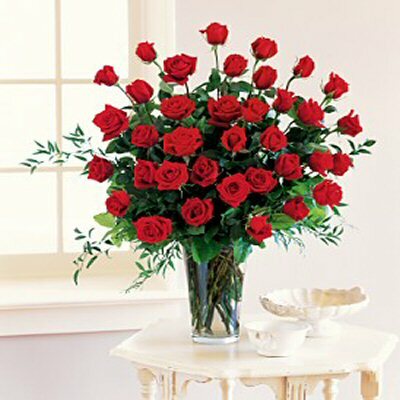 Anyone would love to received two dozens roses arranged elegantly in a vase. You choose the Color for that special occasion. 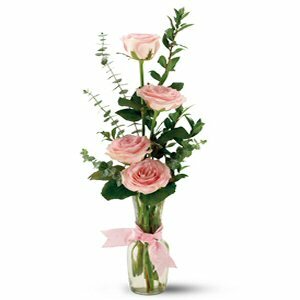 New Mom, Bride to Be, Family Moving In New Home, or many other special occasions to share this beautiful rose arrangement with. 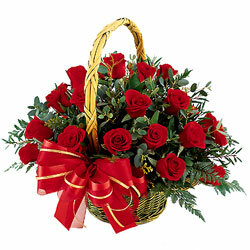 ROSES ARE ALSO BEAUTIFULLY ARRANGED IN A BASKET!